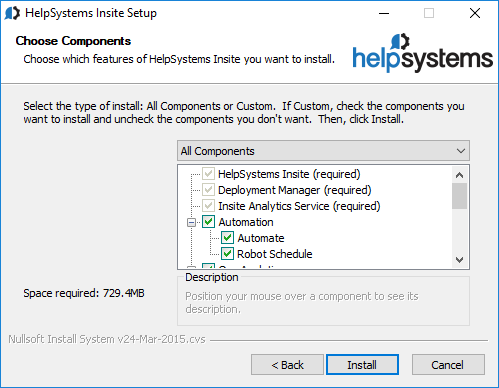 Note: If you are installing Insite 3.x, see Installing HelpSystems Insite 3.x on Your Windows Server. Make sure your system meets the minimum requirements before installing Insite on your Microsoft® Windows Server®. You can download the installer from My Downloads page on our website. The installer is available whether you’re requesting a free trial of our software, updating your software, or converting your software. 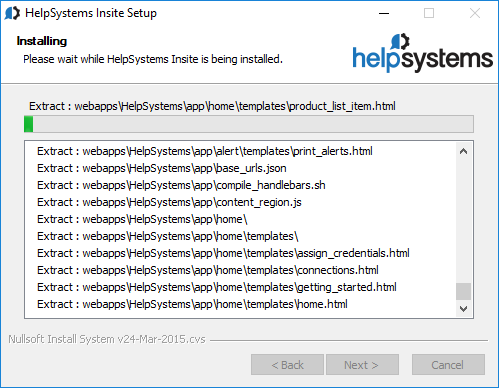 Complete the following steps to download and install HelpSystems Insite on your Windows server. Download the setupHelpSystemsInsite.exe installation file from My Downloads page on our website. Follow the onscreen instructions to continue the installation. On the Choose Components panel, select the products you want and click Install. The installation begins. The installer gives you a detailed view of the installation progress. 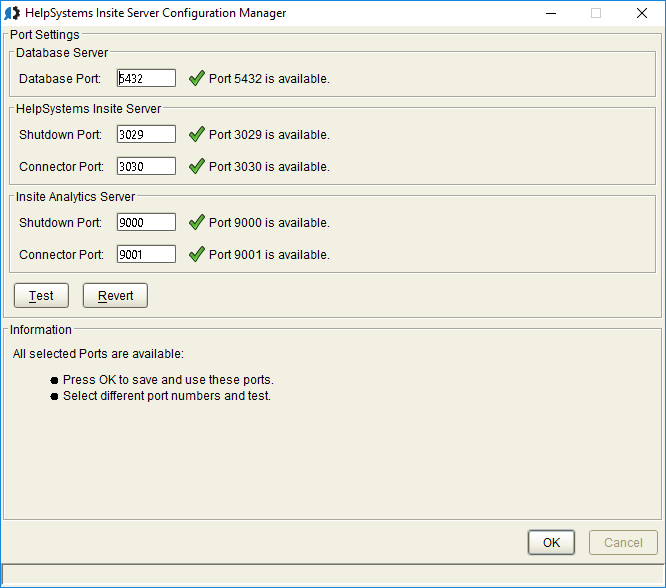 The HelpSystems Insite Server Configuration Manager window displays. You must set up ports for HelpSystems Insite. The installer lets you know if the default ports are available. If a port is unavailable, enter a new port number and click Test to see if it's available. Once all ports are available, click OK. If you're the first person to log in, you're asked to change the 'admin' password. Then, you'll see the Server Settings page which has a Getting Started section on it. That will help you start setting up the software.